Dillon Travels: How do Fastpasses work? As a travel planner I get a lot of questions about Fastpasses. I have several blogs on the subject but the guidelines are continuously changing so it makes it hard to keep up to date information on it here. Fastpasses are a way to "reserve" a ride time to avoid constantly waiting in lines. You login to your www.mydisneyexperience.com account at 7:00 am 60 days before you are set to arrive at WDW and choose your rides. You will be able to select a one hour window for each ride or attraction you'd like to see. Once at the park, you arrive anytime during the one hour time and enter the Fastpass Return queue (not the stand-by line). Next, you scan your Magic Band to verify that you have a valid Fastpass for the attraction. You will always have a shorter wait time and sometimes you'll walk right on to the ride. 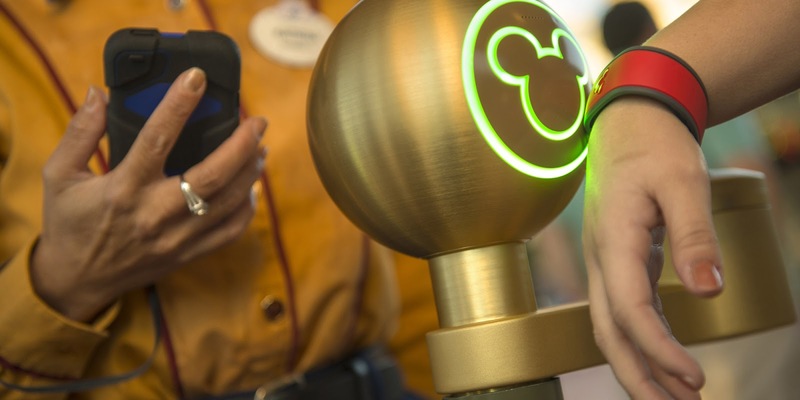 You won't need to carry anything with you, it is all loaded to your account and will be scanned off your Magic Band. How do I pick a time? This is really up to your family dynamics. The biggest factor is your park ticket type. So, if you have base tickets it means you can only visit one park per day. If you go to Magic Kingdom, you can leave and return as often as you wish, but only to Magic Kingdom. Since dining reservations are made 180 days in advance, some of your parks are already chosen for you. If you are eating in a park, make sure your Fastpasses are also in that park. I highly suggest doing your Fastpasses before your meal time because you know you will still be in the park. On the rest of the days you need to look at the schedule of park hours for the week. Some families like to go to the park with early entry. They want to be there for the extra 2 hours in the morning. I generally avoid these parks because they will be the most crowded park of the day due to the Extra Magic Hours. However, if you decide to do a park with Magic Hours, don't worry about getting any Fastpasses until about 10:30 or 11. You will walk onto a lot of rides first thing in the morning so wait on Fastpasses until crowds pick up mid-morning. I suggest you concentrate your times late morning to midday so you can be done with all your scheduled activities. It is hard to have evening passes because you never know how everyone will be doing at that point. Kids (or grumpy adults) might be done with parks and ready to just go relax by a pool. IF you schedule everything earlier you are free to change your afternoon. First you will choose three items for a day, then you will be given several times options that fit your requests. You choose the one that works around your meals with times you prefer. What happens if I miss it? Nothing...you just lost the opportunity to use that pass. Fastpasses are free and there are no penalties for not using it but they won't give you another one. Can I get more or change them? You can change them anytime including the day you arrive. Obviously, the best rides or meet 'n greets are going to be sold out quickly so if you change things you are less likely to get as many choices. 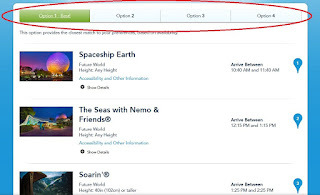 After you use your first three pre-planned Fastpasses, you can get one more at a time on your MyDisneyExperience phone app while in the parks based on what is still available at that time. What if some people want one fastpass and other people want a different one? No problem, you can split your party on MyDisneyExperience and have dad and the teens go to a roller coaster while mom and the girls see a Princess. It allows you to choose rides and who will go. Which Fastpasses should I get?